Accidents do happen and one of the most common ones that occur when fixing stuff around the house or doing something creative is gluing oneself to oneself. Super glue binds strongly to the skin and clothes and can present considerable problems while removing it. Today we will study some easy ways to remove super glue from plastic, metals, skin, clothes, carpets and other surfaces. Acetone– Acetone is one of the most common super glue removing liquids. Careful swab the area with cotton wool dipped in acetone. You might need to reapply several times until all the glue is off. Nail polish remover-Most nail polish removers contain acetone. Dip your fingers in warm soapy water to remove some of the glue. Then apply nail polish remover using a Q-tip or sterile cotton wool. Wash your hands after the glue has come off. Emery board- An emery board is the easiest way to remove glue that has dried on the skin. Soak the skin in warm soapy water. Dry the skin and then scrub it with an emery board file until the glue is all off. Hydrogen peroxide– Rub the skin with hydrogen peroxide several times until it comes off. Use food grade strength. A paste of coconut oil and baking soda can also be used for scrubbing the skin to remove hardened super glue. Apple cider vinegar or white vinegar can also do the trick. In many cases, you need not do anything at all as the dried super glue will fall off on its own after a few days. You can again use acetone to remove glue easily from plastic surfaces. To begin with, wipe off the excess with a rag. If possible, wash the surface with warm water and soap. You can also use a metallic or nylon scrubber for removing a bit of the glue. Next, dab some acetone on the plastic. Rub the acetone into the glued area. Wipe off with a rag. Some plastic surfaces can be destroyed with acetone. To avoid that, test the acetone on a small area first. An alternative to acetone for removing super glue from plastic is nitromethane. Nitromethane is readily available in home improvement and hobby stores. 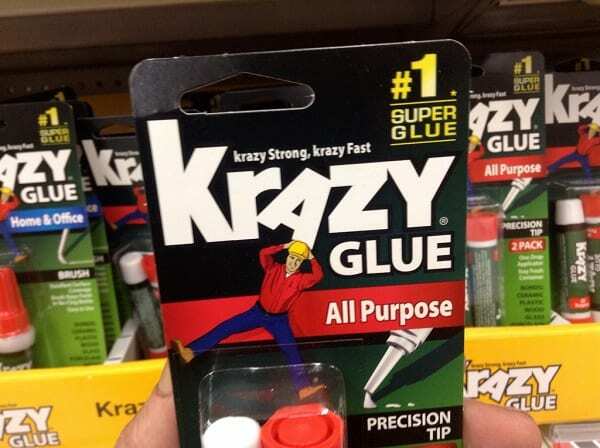 It may be available under the name ‘super glue removing liquids’ or ‘debonders’. White vinegar will also loosen the glue; soak the plastic object in vinegar for a few hours to remove the glue. The best way to remove super glue from a metal lock is nail polish remover or acetone. As before, liberally apply the acetone on the metallic surface and scrub gently. You can then sandpaper the surface or use a knife. If you want to remove super glue from metal without acetone, soak the object in white vinegar for several hours. Then gently scrub the glue off. Acetone works well to remove super glue from wood. You can also use nail polish removers. If the glue is stuck to wooden floor, apply some coconut oil or olive oil to the area. Let it soak in the oil for a few hours. Then scrub the floor with sanding paper. Soak the clothes in soapy water. This will loosen the glue. Do not use acetone on colored clothes as this will ruin the colors. You can make a paste of baking soda and detergent or white vinegar to loosen the glue a bit. Once this is done, use a brush to gently remove the glue. Lemon juice can also help. Apply the juice on the glue and let it work for a few hours before you scrub it with a clothes brush. For older stains left behind by glue, use bleach safe for colored clothes or oxy-bleach solution to remove glue from clothing. As stated before, use acetone or nail polish remover to loosen the glue. Scrub it off with a knife, brush, scrubber, sand paper or other abrasive objects. Repeat application of acetone several times. In case you do not have acetone, use white vinegar and baking soda. Do not use acetone on leather and suede as this can permanently damage these surfaces. Instead, make a solution of soap and water and work up a lather. Apply the solution to the affected parts. Use a rag to scrub the leather. Repeat several times until the glue comes off. This is a time consuming process. You need a metal comb and tissue as well as acetone. Wrap the metal comb in tissue paper so that the teeth come out. Do not use plastic comb as acetone will eat into plastic. Now wedge the comb under the carpet and pour a bit of acetone on a cotton ball. Rub the cotton ball on the affected area of the carpet. The tissue will protect the acetone from seeping into the carpet and damaging its base. Continue working the stain row by row dipping the cotton in acetone each time. Repeat a few times till all the glue comes off. 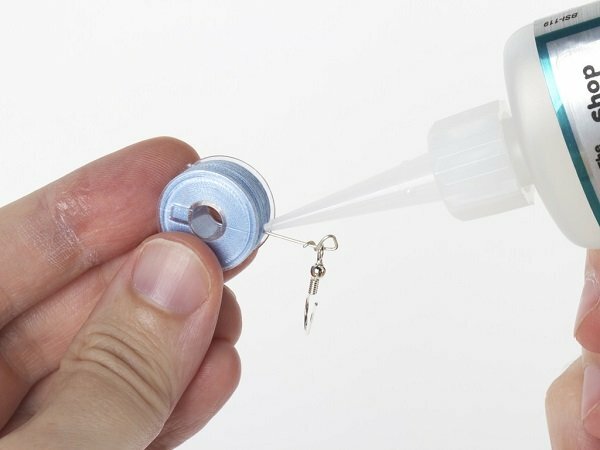 Try these easy ways to remove super glue from skin, clothes, plastic, metal and wood.